You know how sometimes there are those products that absolutely blow your mind? They do exactly what they claim to, have a great price point and are completely user friendly? Know what I mean? 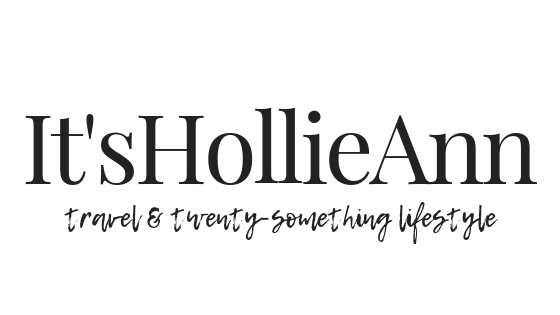 Well, allow me to introduce you to my latest must-have beauty products that tick all of these boxes and that, quite frankly, I can't shout about enough. 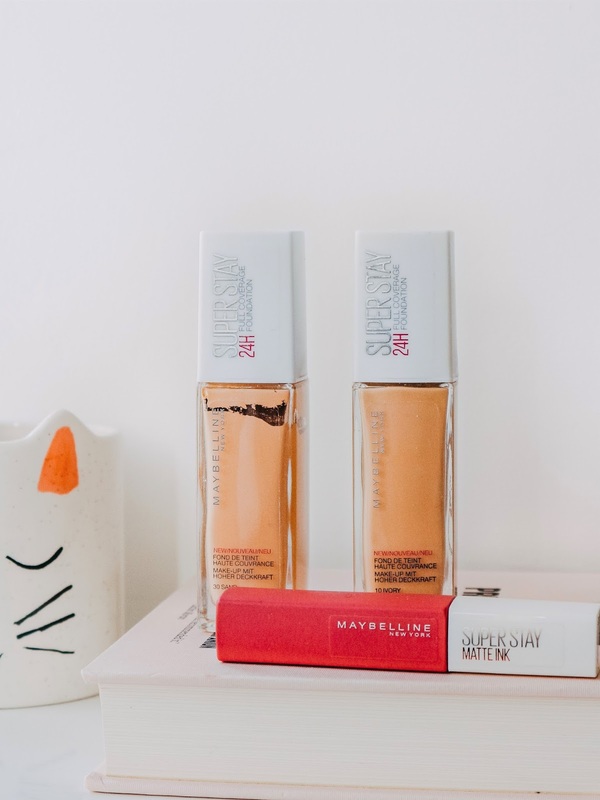 Two must-haves from Maybelline. First, the Maybelline Superstay foundation. I picked this up after watching Tati's review - No word of a lie, I hadn't even finished the video before I grabbed my keys and headed straight out to buy it. Since then I've been using it a heck of a lot and still, four months later, I can't say enough good things about it. For me, the texture is silky smooth and a little bit goes a long way. I find that when I dot it on my face, it blends out flawlessly and doesn't dry faster than you can blend which definitely gets a gold star from me. 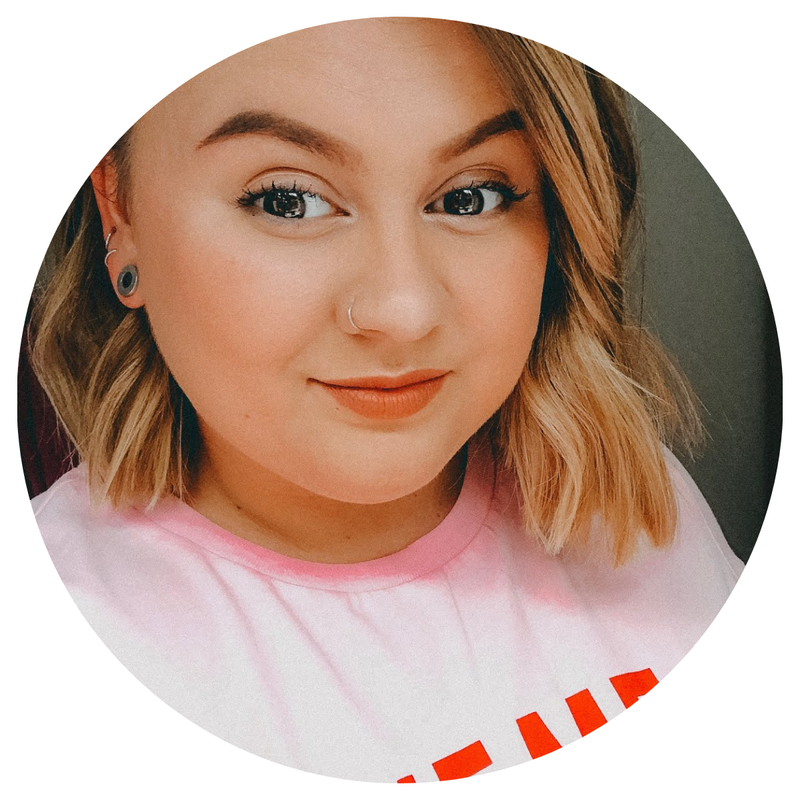 On my skin, it stays put all day and doesn't tend to cling to dry patches or create much excess oil - Something I struggle with, with a lot of other foundations. I tend to prolong the wear with a little powder under the eyes and a spritz of setting spray but honestly, even without, you're good to go pretty much throughout the day. I have to say, I find the shades of this foundation a little darker and warmer than others. Originally I picked up 30 Sand which I should have known would be too dark but I was far too eager. It wasn't drastically different at first but since it oxidises quite a lot, I was a funny shade of orange in no time. Thankfully when I went back a few days later I managed to pick up 10 Ivory and since then, it's matched almost perfectly. It's still a touch too warm so I may pick up an even lighter shade soon. Overall, it's a 10/10. Next up is probably the product I've been most shocked by in a long time. The Maybelline Superstay Matte Ink lipstick. I picked this up because I loved the Superstay Foundation and because I was in semi-desperate need of a new matte lipstick. I swatched it as usual and went for the shade Lover because, you know, I really needed another dusty pink lip colour. After getting home, feeding the cats and washing my hands, I noticed it didn't actually come off so I washed them again. I actually washed them three times, all with soap, and not once did this lipstick budge. I was intrigued. Continuing my test in true beauty fanatic style, I put it on my lips determined to see whether it was some kind of lipstick mirage or whether it actually would last and if so, what was the catch? There was no catch and it really did last. It didn't dry out or flake, it didn't fade or smudge. It didn't come off until about 11.30pm when I forcibly removed it by means of Cleanse and Polish after lots of food and a few proseccos. I know what you're thinking but yes, it's real and I have no bad words to say about it. The colour payoff is brilliant, it doesn't bleed, it sets quickly but doesn't leave your lips feeling dry. I can put lip balm over it and it doesn't effect it's opacity and to top it all off, I get so many compliments when I wear it. I can't say enough good things about it and one by one, I'm slowly building up a collection because, hello, when won't there be a good occasion to wear it? To make sure this wasn't a one off, I swatched another 4 whilst at Boots a few days ago and still had the same results. Another solid 10/10. I have to be honest, sometimes I struggle with drugstore beauty. There's a lot of choice out there but I find that sometimes it can take a lot of time to find products that work really well. I'd love to know if there are any hidden drugstore gems that you've found or heard about!